Mercury regulations save 11,000 lives each year. Now, the EPA under the Trump Administration wants to weaken them. The EPA gave families a deadly present to start the year off wrong. The Environmental Protection Agency announced a proposal that would effectively weaken the Mercury and Air Toxics Standards (MATS), which protect American families from mercury and other harmful air pollutants emitted by power plants. These regulations save a lot of lives -- 11,000 every year, according to the EPA’s own data -- and they prevent 130,000 asthma attacks annually. Stripping this regulatory power virtually guarantees more asthma attacks and more preventable deaths. Infants, young children, and pregnant mothers are particularly vulnerable to mercury -- as well as to arsenic, lead, dioxin, and acid gases, which are also regulated by MATS. I’m a fairly young person -- I grew up with dire warnings about exposure to these chemicals. 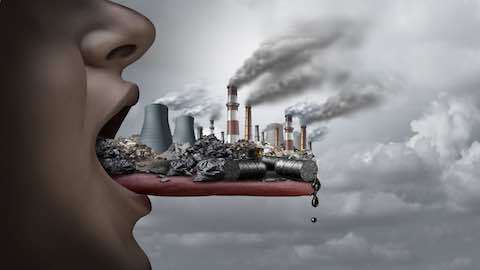 Yet despite overwhelming evidence of their health effects -- and the longstanding availability of proven control technologies -- it took over 20 years after the 1990 Clean Air Act Amendments to establish federal regulations on power plant emissions of these harmful substances. Environment: "This EPA Rule Change Could Kill Thousands"